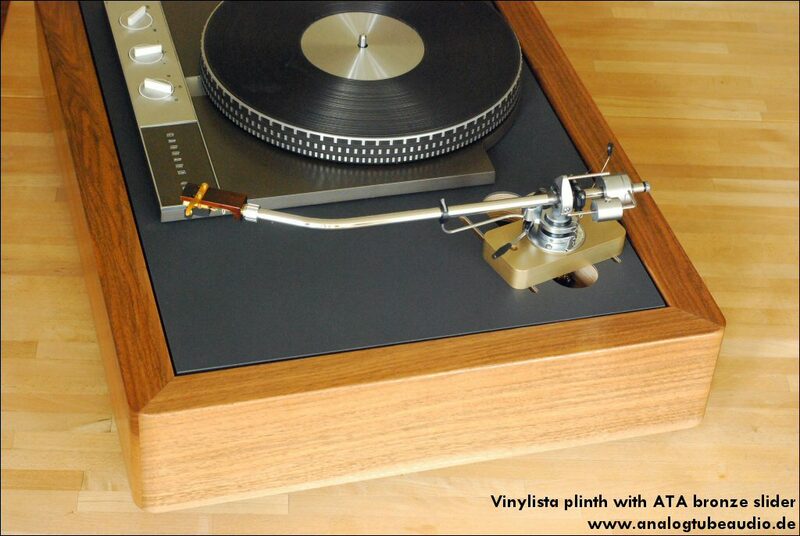 In teamwork with Martin Brenner of Vinylista this originated these plinth project for a Garrard 301/401. It can be used tonearms from 9” to 13” length. 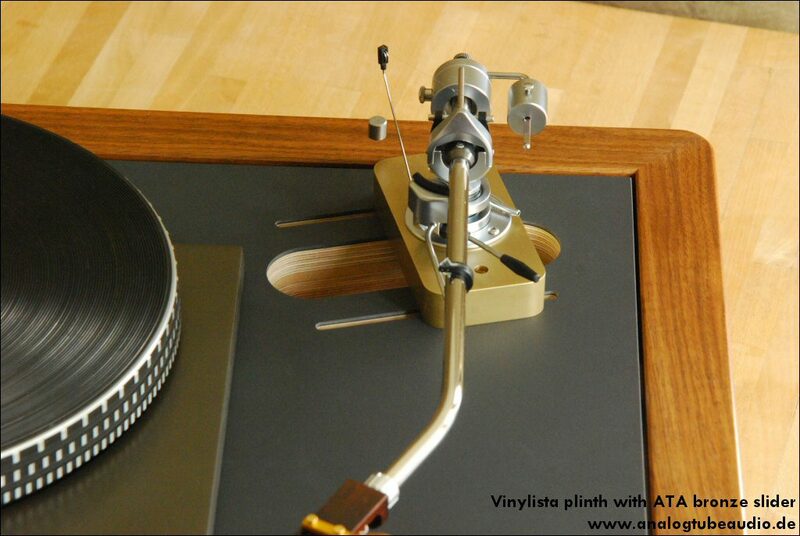 Available is a slider for SME tonearm and sliders for EMT/ Ortofon and Schick tonearms are planned. Sliders for other tonearm can made on customers request. 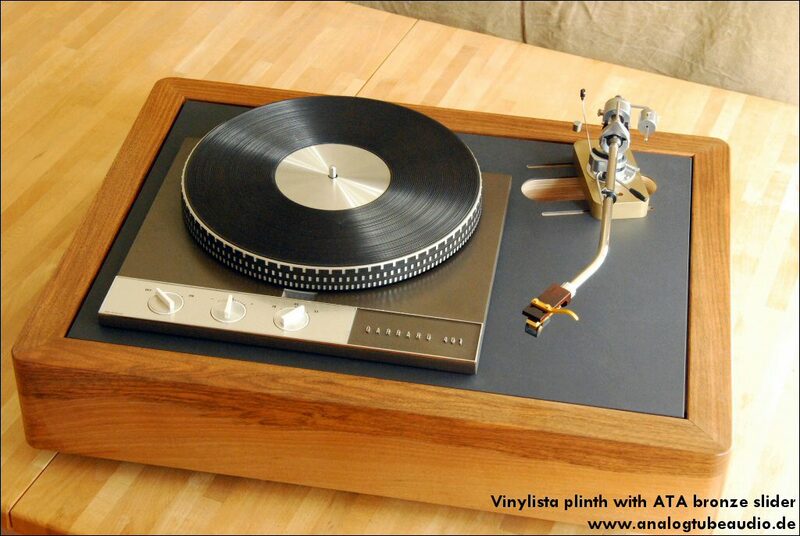 Martin Brenner made it, as usual, the plinths and Analog Tube Audio the bronze parts.